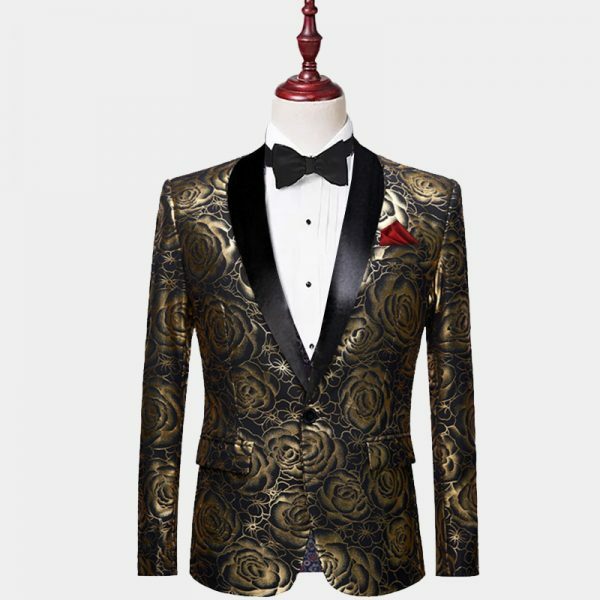 Solid, floral, plaid and even paisley tuxedos in shade of gold add visual interest to your ensemble. 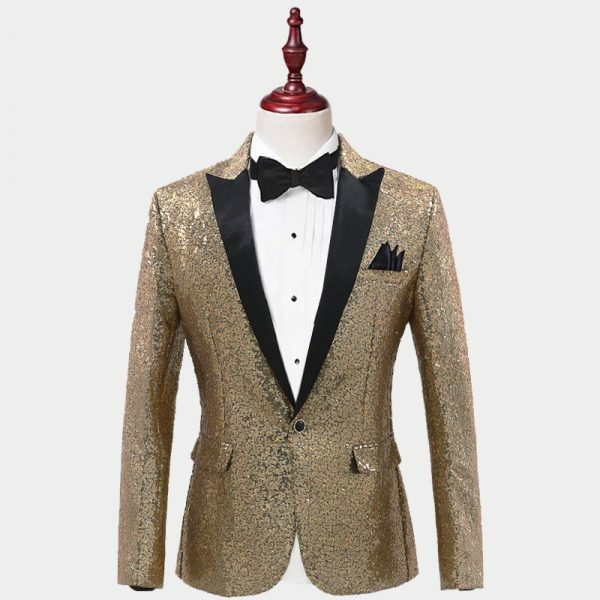 Gold is an eye-catching color that elevates your look with warmth and richness. 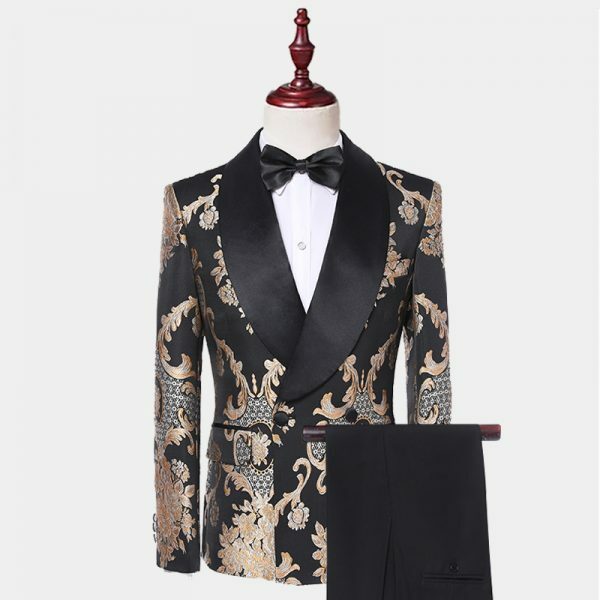 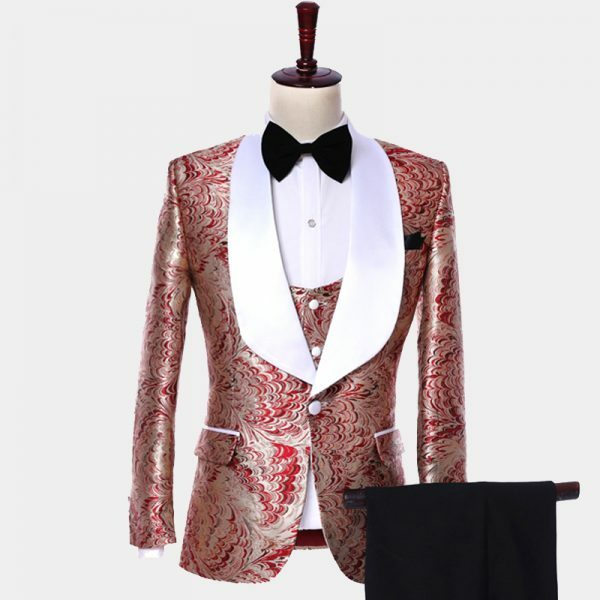 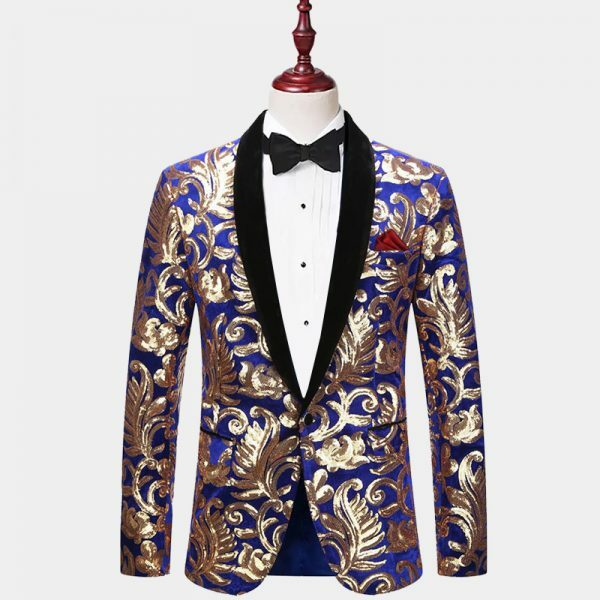 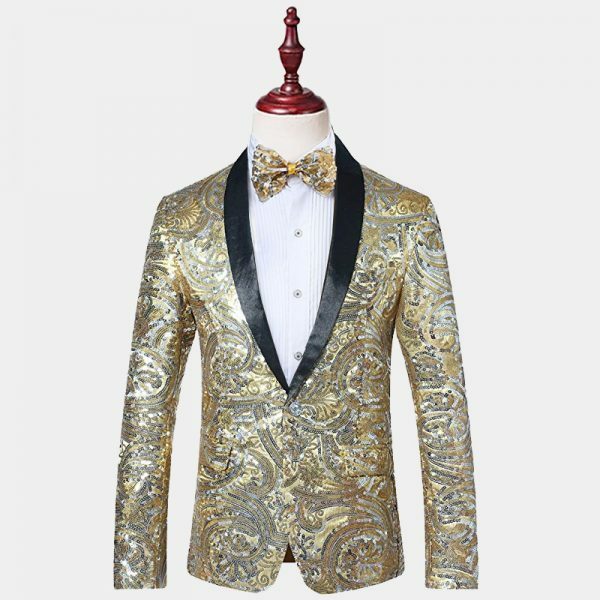 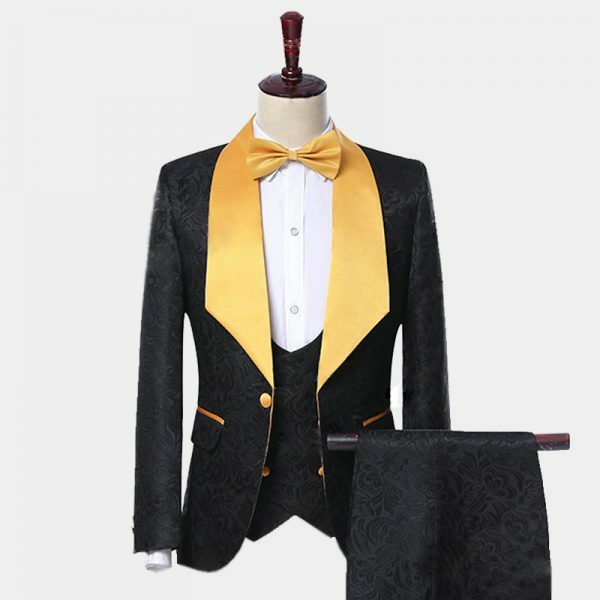 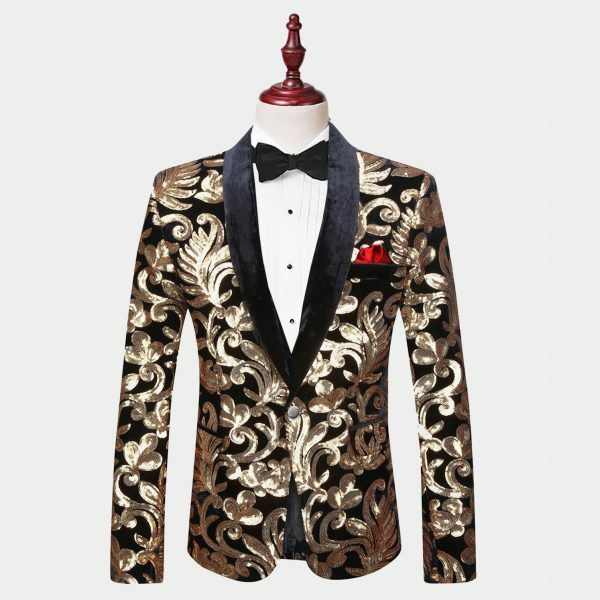 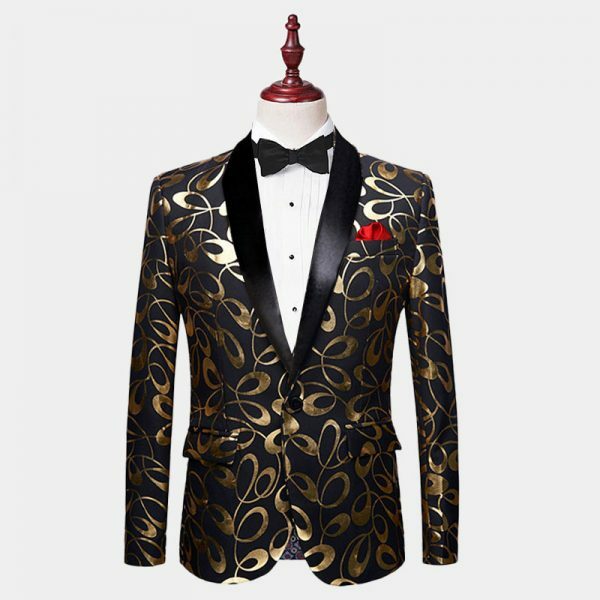 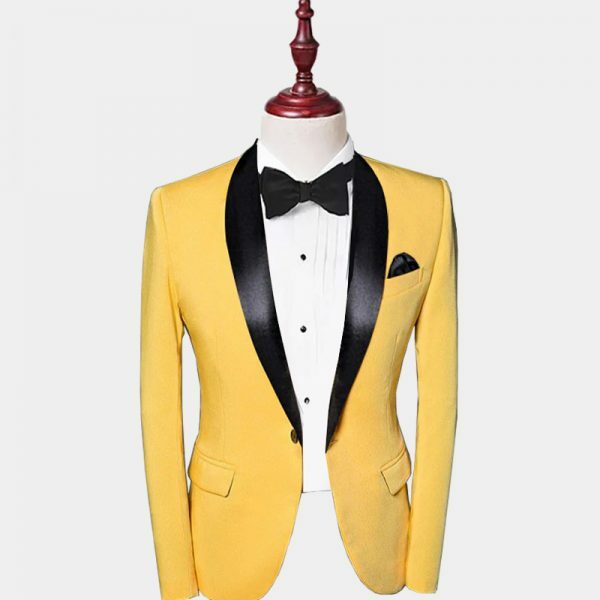 Tuxedo suits, as well as tuxedo jackets in shades of gold, are elegant and considered to be a great choice for proms, weddings and any formal occasion where you want to stand out. 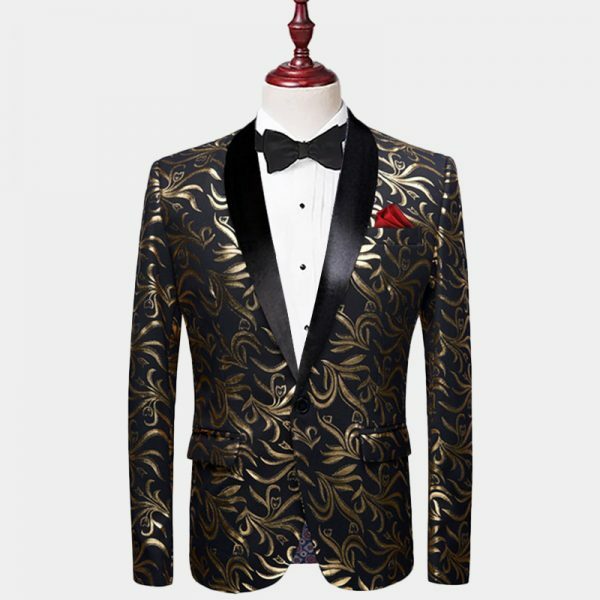 Black and gold tuxedos make positive and memorable first impressions when worn to a wedding, weather for the groomsmen or the groom. 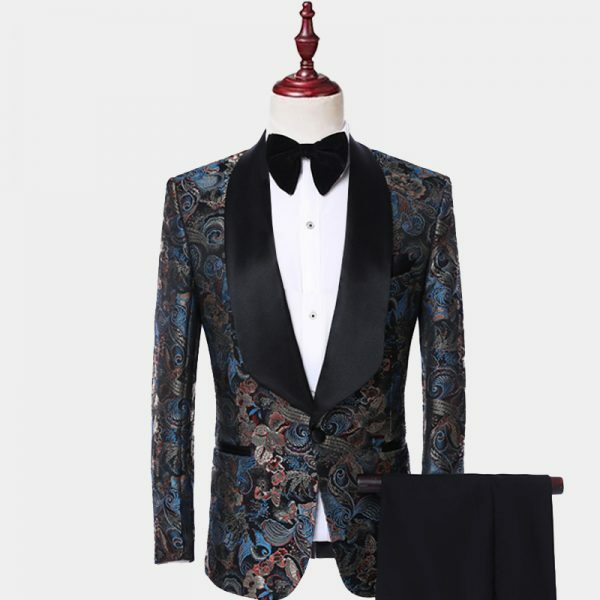 They convey you have confidence and are not afraid of a challenge. 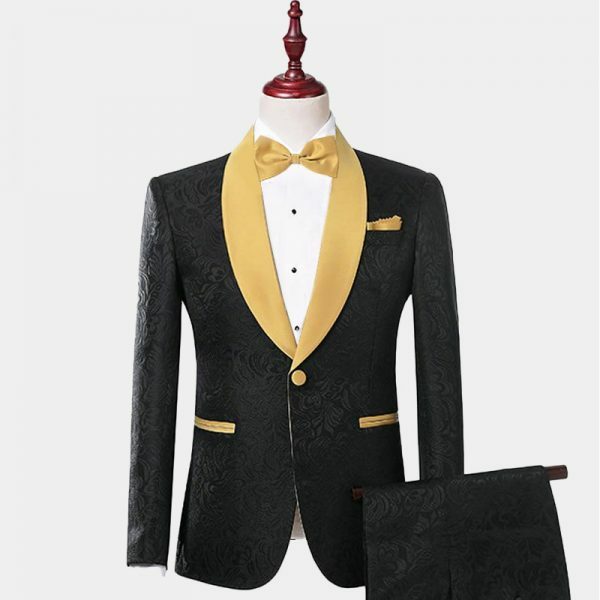 Our fine selection of expertly crafted tuxedo suits and jackets includes formal and semi-formal styles. 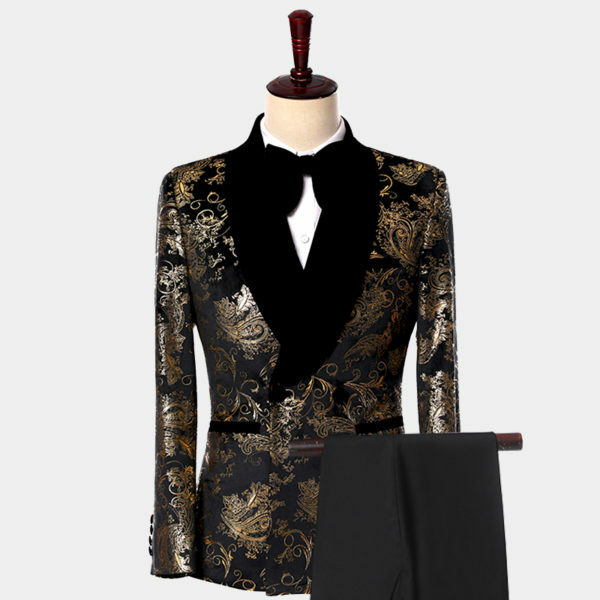 from velvet and sequins to wool and silk. 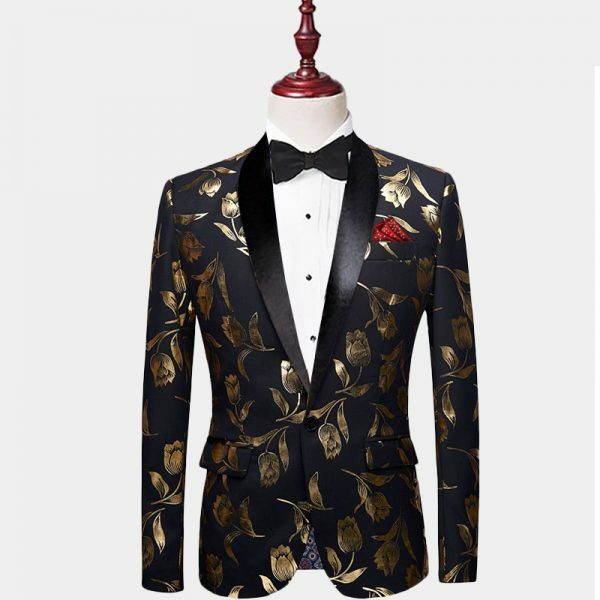 in addition double-breasted and single breasted styles are all available for you to choose from.